Talking about end-of-life care isn't easy. But it is important. 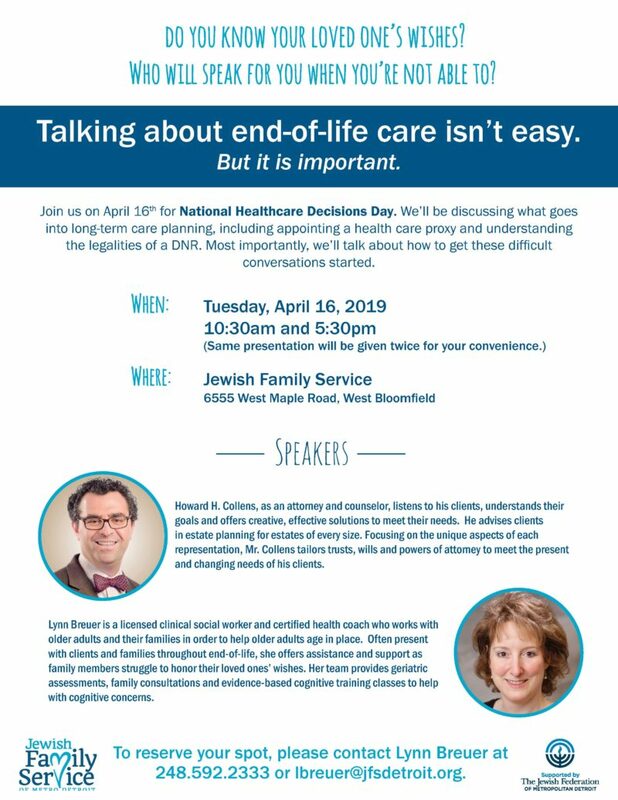 We'll be discussing what goes into long-term care planning, including appointing a health care proxy and understanding the legalities of a DNR. Most importantly, we'll talk about how to get these difficult conversations started. Licensed clinical social worker Lynn Breuer works with older adults and their families, offering assistance and support to help older adults age in place and to help family members honor their loved ones' wishes. Her team provides geriatric assessments, family consultations and evidence-based cognitive training classes to help with cognitive concerns.